The Ping G Driver is designed for speed to help you get the most distance out of your swing. This driver features Turbulators and speed generating VorTec technology aerodynamics, reducing drag by 37% and increasing carry distance 3-4 yards. The G driver also features a thinner T9S face for faster ball speeds and it employs Dragonfly Technology by saving eight grams of weight from the crown to better position the center of gravity to optimize forgiveness and consistency. Additionally, this driver has a five lobe hosel to allow for one degree of loft adjustment. Review by Frank, 1 month ago. What is the weight of the shatf model Aldila RIP'D NV 65? When ordering the Ping G driver, the tool is not included. How does one get the tool? Dear Sir, I am interested to buy this Ping G LH driver above. However, I will not be able to handle the Ping Alta stiff flex shaft. On the other hand, I also saw that you have available a G SFTec LH driver with Ping Alta 55 regular flex (- 0.5 inch) shaft for same price. I was wondering if you could swap this regular flex shaft into the Standard G driver and sell it to me. 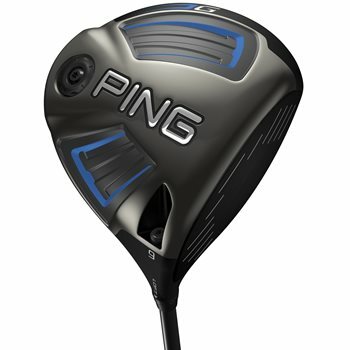 Ping G driver does it come with 12 degree loft. The Ping G driver did not come in a 12 degree loft.